Miles Adcox is an entrepreneur, speaker, host, and coach. 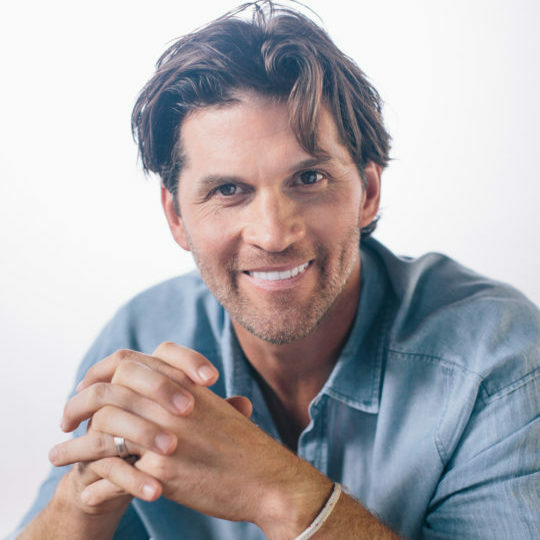 He is the Owner and CEO of Onsite, an internationally-known emotional wellness lifestyle brand that delivers life-changing personal growth workshops, inspiring content, leadership retreats, and emotional treatment. Miles’ work at Onsite has been featured on 20/20, Good Morning America, New York Times, Wall Street Journal, Dr. Phil Show, and The Doctors. Miles Adcox has devoted his life to living into these three concepts: Empathy over action, love over agenda, and grace over advice. Publicly and privately, he is known as one of the most plugged-in people on human condition that there is today. 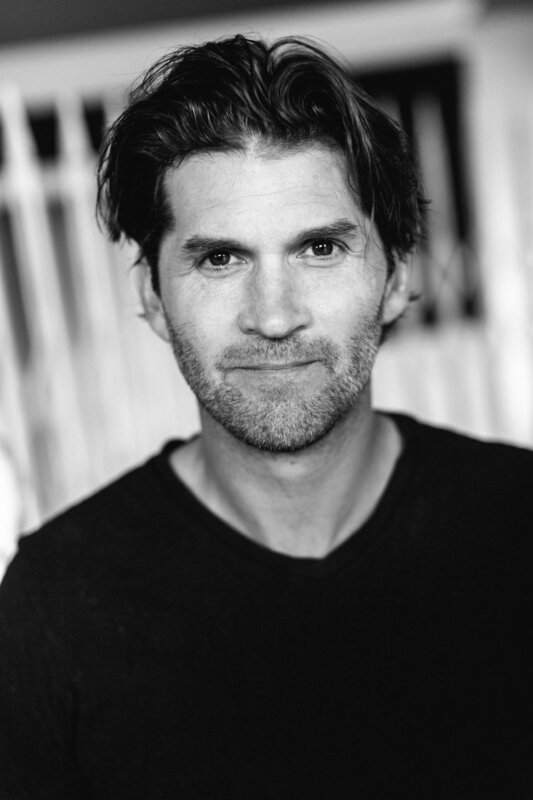 He is an advisory board member for Musicians on Call, The Onsite Foundation, Dream 514 and C4 Recovery Solutions. Miles has created and managed multiple mental health programs, personal growth workshops, and speaks nationally on emotional wellness. 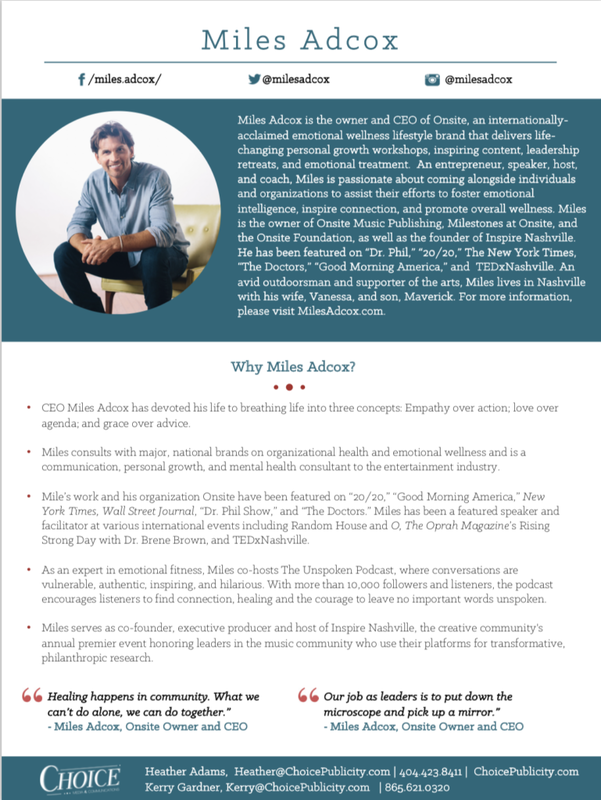 Miles has been a featured speaker and facilitator at various international events including Random House & O-The Oprah Magazine’s Rising Strong Day with Dr. Brene Brown and TEDx. He has consulted major brands on organizational health and emotional wellness and is a communication, personal growth, and mental health consultant to the entertainment industry. Currently, works with and consults several NGO’s and serves on the board of The Onsite Foundation, C4, Dream 514, and is an advisory board member for Musicians on Call.